Gardening is good for you. ‘Gardening is good for you’. It’s a popular theme. I carried out a quick internet search recently and found numerous blogs with lists such as ’10 reasons why gardening is good for you’, 11 reasons, 12 reasons, 13 reasons, and the lists went on and on. I did enjoy reading most of these lists, many were informative, and the good ones are based on a broad consensus of academic research and studies in this field. However, some others were strikingly similar. In fact, there were a few that were identical and had clearly been plagiarised from someone else’s ‘gardening is good for you’ list. Unfortunately, especially within but not confined to social media, there are people and businesses who are happy to plagiarise someone else’s work, words, photographs, blogs, ideas, look, approach and style, and pass it off as their own. They don’t realise (or don’t care) that a keen eye and a willingness to doubt can spot the original from the copy, the real from the fake, the authentic from the artificial. This blog is not a ‘gardening is good for you’ list that has been copied from elsewhere many times over. 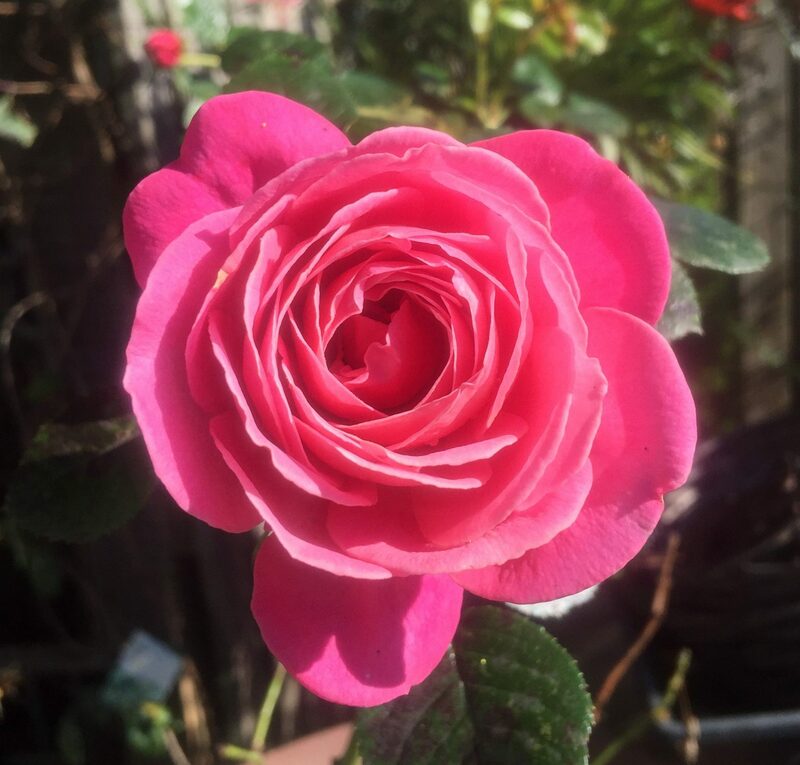 It’s a personal story of why I believe gardening is good for you. Many years ago in my mid-20s I became unwell. It was a physical illness that made me very poorly. I was admitted to hospital and later discharged to the care of my mother who was a nurse. I was bedridden, exhausted, very sick, and unable to take care of myself. This lasted for many months. I just about had the energy to lift a book and read, but even the task of following page after page of text seemed to exhaust me. 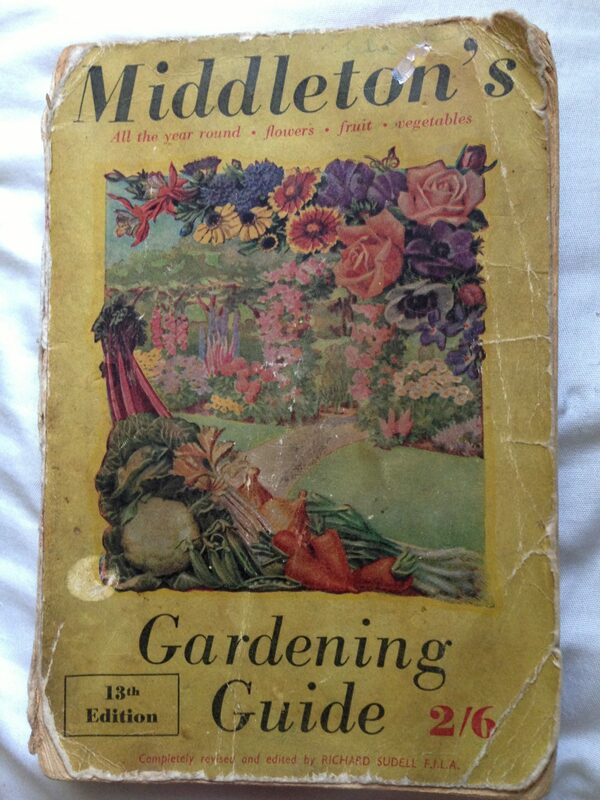 Instead of reading books I enjoyed looking at the mail order gardening catalogues my mum collected over the years. The photographs were accompanied by short descriptions that made for bite size reading that I could manage more easily. I looked at the pictures, and imagined planting lots of the bulbs, plants, shrubs, and trees. Having my mind drift off into gardening felt good. Eventually my health started to improve. I was still pretty much bedridden, but at least now I had a little more energy, and I began planning to help my mum in her garden. My mum had ordered some plants from one of the mail order nursery catalogues and I was determined to help her put them into the garden. I started by planting a few seedling plants in pots. It’s all I could manage at first, without becoming exhausted again. My health continued to slowly improve, and so did my strength. I was also getting excited about how the plants were doing, and what else I could do in the garden. The physical and mental act of gardening was good for me. I had movement and exercise, at a pace I could manage. 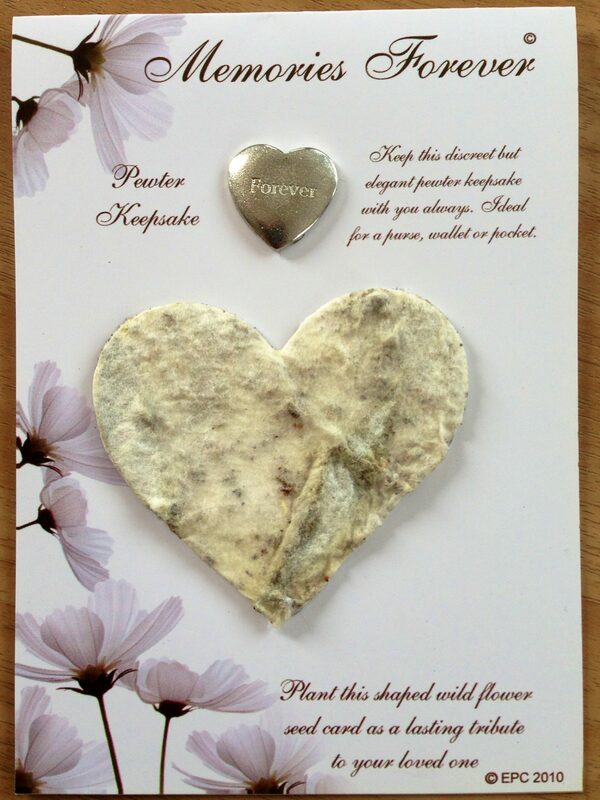 I had sensory stimulation with the sound, smell, texture, touch, colour, and even taste (herbs) of the plants and soil. The breeze, the rain, the cold and the warmth in the garden also felt really good. It’s perhaps not until confined to the indoors that the outdoors becomes something very special. Time also passed with ease. I’d get lost in the moment of gardening. I’d drift off to a happy place where only the here and now mattered. Gardening changed my mood. It gave me direction and focus. If I planted something, be it a bulb or a colourful bedding plant, I looked forward to seeing that plant grow. Many years later I visited a charitable organisation in Ayrshire called ‘Gardening Leave’. 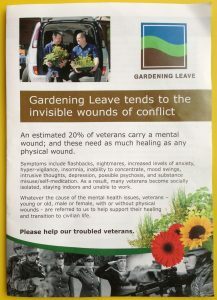 This charity supported military veterans with their invisible wounds through gardening. The veterans were a perfect example of how ‘gardening is good for you’ – the exercise, physicality, relaxation, sights, sounds, smells, colour, focus, mindfulness, the here and now, the calmness and the peace, the patience and reward, the ebb and flow, the changing of the seasons. Gardening was being used as a therapy and treatment with these veterans. The physical and mental act of gardening was producing positive health outcomes, which in turn was leading to better social outcomes for the people using this wonderful service. More recently, after starting our gardening business in East Kilbride, I have had the privilege of working in the gardens of customers who have shared their gardening stories with me. Listening to those stories I can really appreciate the joy gardening has given to them. Many remember plants and shrubs in their gardens that are linked to birthdays, anniversaries, special occasions, and to special people in their lives. Some of the most powerful emotions in a garden are the ones associated with plants that loved ones had liked or had planted before they passed away. The memories of these plants, and the feeling of happiness they give people, leaves me in no doubt that gardening is good for you. Not only physical health, but mental health and overall wellbeing can be enriched by gardening. It’s not surprising that many towns were planned and built with a particular focus on gardens and green spaces, East Kilbride being one of these ‘Garden City’ towns. It’s never too late or too early to let the joy and health benefits of gardening into our lives. We don’t have to become accomplished professional gardeners to enjoy these benefits. I would suggest starting slowly. 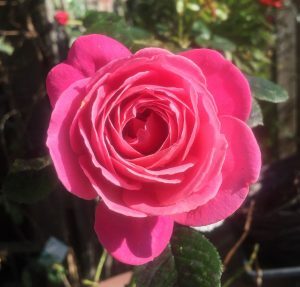 It could be introducing your favourite colour into your garden, or a plant with a name that reminds you of a special someone, a special place, or a special point in time. I’ve done exactly this myself. I can look out into the garden now and look at particular plants and create a positive physical and mental response by doing so. The power of plants really is amazing. 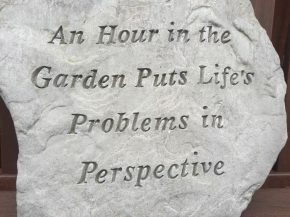 If that doesn’t happen for you when you look out into your garden, and instead it all feels a little overwhelming and a lot of work, then just take one little area at a time. Or perhaps get a gardening business in to take care of the more demanding jobs. For some people this might be lawn mowing, or hedge cutting. For others it might be cutting back trees or shrubs that are taking up too much space. Remember, this could be your route to a healthier you. Don’t let your garden become a burden. Gardening is good for you.